This a HUGE EVENT for this city as well as Casa Samba myself and the whole carnaval community we live in. With the help of New Orleans Recreation Department and a few of the Afro-Cultures groups of Mardi Gras and Carnival Artist and Musicians. This assistance is to help this be the first Official time that there has been the meeting of The Carnival of Brazil and the Carnival of New Orleans we intend to employ ROOTS OF MUSIC Children's Marching Band, YMO the 1st Original Secondline group, OneShot Brass Band, Mardi Gras Indians - Big Chief Honey & Big Chief Shaka Zulu, John Boutte, James Andrews, Ben Hunter with a tribute song for Tamborine and Fans "Jerome Smith", Bruce "Sunpie" Barnes, the original Gold Digger Baby Dolls. 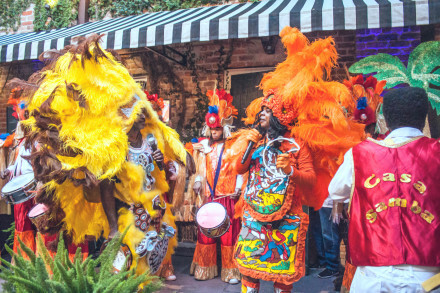 New Orleans oldest Carnaval traditions coming together to display Afro Cultures of New Orleans that you normally don't see during Mardi Gras. Together we want to put on the best show this country has ever seen with the 2018 Champion Samba School singer from Brazil Neginho da Beija Flor. His name Neginho da Beija Flor is the name of his Escola de Samba(samba Beija Flor de Nilopolis. An opportunity presented itself to me that I thought it would be really good for the city our Casa Samba and everybody that would be involved in this Event. The 2018 champion Samba Singer in the World will be coming to New Orleans to do a concert with Casa Samba. This is something that will probably never happen before. Casa Samba has dedicated so many years to our community and we really never asked for any outside assistance from the parents or the children for their free classes. 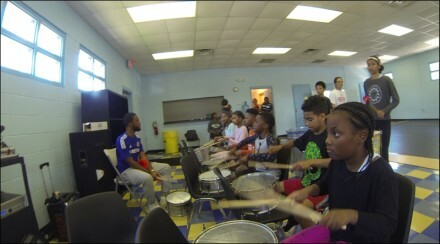 We normally provide these classes free from the support of performances by Casa Samba. 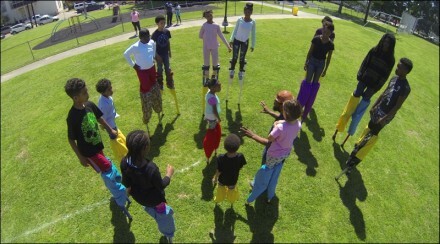 For the past 10 years alone CASA SAMBA has invested in its community with $500,000 of free classes for children. This is our way of giving back to the community. Casa Samba Kids Community classes @ New Orleans recreation Center 800 Race St.
Casa Samba Kids Community classes At New Orleans recreation Center 800 Race St. The news of the arrival of this 2018 champion singer coming to the United States made me think about that this would be seriously the time for organizing a fundraiser for Casa Samba to help support its community Children's programs. This will be the biggest thing ever happen with Samba in this city and my life for this production. 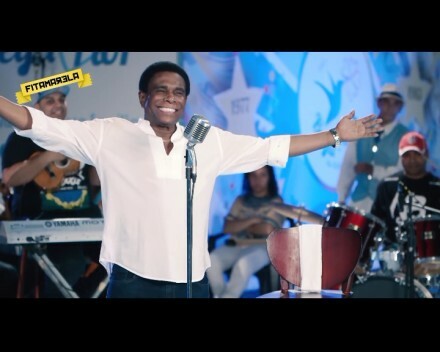 New Orleans will have the James Brown of Samba singing of Brazil coming to New Orleans Neguinho Da Beija Flor is also from The 2018 champion samba School of Brasil. Neguinho is doing about ten cites in the United States. They contacted me because of the commitment that Casa Samba and I have displayed in protecting and safeguarding the Afro Brazilian culture here in New Orleans for over 30 years. Neguinho mentioned that he likes to come to the city where he will definitely make a difference in the community. Neguinho da Beija-Flor, whose stage name is Luiz Feliciano Antonio Marcondes, (Nova Iguaçu, June 29, 1949) is a samba singer and composer. He has been the official interpreter of the Beija Flor since 1976. He is the son of a musician. Owning both a powerful voice and great vocal technique, he debuted as Samba Lion Falls in 1970, transferring to the musical group Beija-Flor (from Curitiba, Paraná), in 1975. There he created the slogan "Look at the Hummingbird there, folks! ".